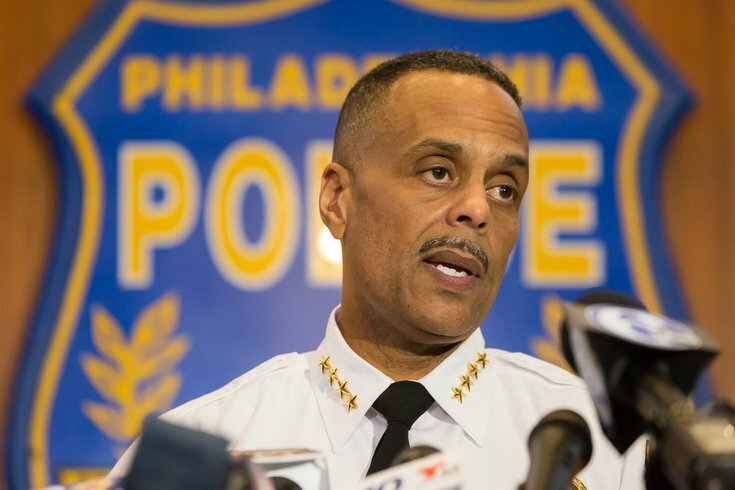 Philadelphia Police Commissioner Richard Ross. A 22-year veteran of the Philadelphia Police Department has become the subject of an internal investigation after writing a letter to a co-worker containing racially suggestive insults. Commissioner Richard Ross addressed the issue on Tuesday afternoon, explaining that an internal affairs investigation will determine the fate of the letter writer, a detective in the department's homicide unit. Ross learned of the letter from the commanding officer of the homicide unit, who explained that it had been found taped over a work station's trash can. Its intended target was not named and the detective under investigation, who signed the letter "Jimmy Crone," has not been identified by police. 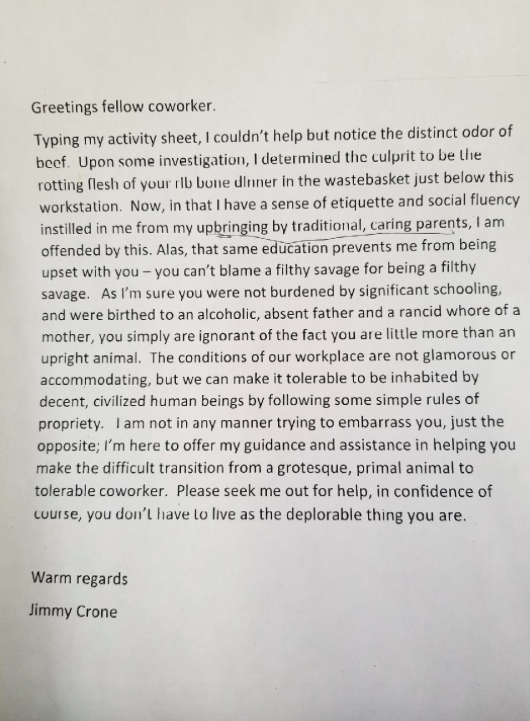 Copies of the letter, which circulated among police and later leaked, show that the writer was angry about another detective's disposal of rib bones in an office trash can. The letter goes on to call the detective a "filthy savage" and a "grotesque, primal animal." Offensive letter taped to trash can at Homicide Unit of Philadelphia Police Department. "We have an obligation to make sure that we investigate this in a proper way and that we cover all the steps," Ross said. "I don't really know. This is very perplexing to me for a lot of reasons. Obviously, there's a lot of exaggerated speech—hyperbole, if you will—in this letter." "It seems to be significantly overblown relative to the offense in question," Ross added. The detective under investigation has been pulled off the street during the internal affairs probe. Ross said he does not have a long history of disciplinary action and that he had yet to have a conversation with him as of Tuesday afternoon. John McNesby, head of The Fraternal Order of Police Lodge 5, said the police union strongly condemns the content of the letter. The Guardian Civic League, which represents black officers in Philadelphia, also denounced the letter in a statement. GCL president Rochelle Bilal said the signature at the bottom of the letter matches the name of the detective at the center of the investigation|. "In reference to the fact that we think that language is offensive and appalling, and in reference to the fact that we think that it's inherently racist language, we don't believe anyone who feels that way should be on this job and serving the public," Bilal said on Wednesday.